Rich golden colour with a nice white head. Good lacing and carbonation. Taste has levels of the hop-like sweetness. Hop bitterness detectable in low levels. Balance may vary from slightly sweet to low-medium bitter. Full body from use of more malt to create fuller body. Medium malt aroma. Hop aroma may be a bit present but not overwhelming. Little fruitiness is acceptable but optional. 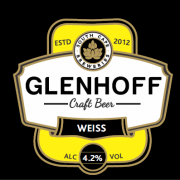 Wheat beer made from a very precise ratio of wheat and malt. The yeast produce a unique flavour of banana and cloves with some spiciness and bubblegum. Little hop bitterness and moderate level of alcohol. 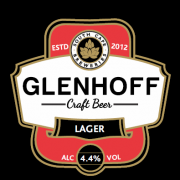 Glenhoff Pale Ale has a golden straw colour with a lacing head. Tropical and passion fruit hops and background malt in the nose. A nice medium bodied beer that shows caramalized malt and good bittering hops. Glenhoff Stout is a dark beer with 5.5% alc. Caramel and roasted malt form a deep bodied, harmonious taste, bitter hops gives an astringency and strenght to the beverage. This beer is brewed mostly in the winter. It is a quite strong beer but brewed softer and therefore gentler to drink.